Hardly had much to do all game. Had to be alert on three occasions in the second half to deny Wayne Rooney a homecoming goal, keep out a close range strike from Gylfi Sigurdsson later on and a bullet from Sandro Ramirez in the last few minutes, but was pretty much a spectator otherwise. Decent performance. Got forward well, but got caught out of position on a number of occasions. Would have been punished by a more quality attacking side. Like De Gea, hardly troubled all game. Saw quite a bit of the ball in midfield in the first half when Everton’s attack was non-existent. Made some good tackles and cleared the ball effectively when called upon. Had little involvement otherwise, apart from a yellow card in the second half. Only blip was a failed tackle on Rooney that nearly cost United a goal in the second half. Solid performance from the Ecuadorian, capped by (as former Everton and United manager David Moyes would say) ‘an absolute worldy’ of a goal. Got forward well, and only just edged out Matic to win the Premier League man of the match award. As always, magnificent in the middle of the pitch. Held the ball well, distributed it well, never gave Everton an inch. Got an unexpected assist too, making the pass that Valencia battered into the back of the net. Absolute machine. Fair to say he’s no Paul Pogba, and the Frenchman’s creativity was sorely missed. Despite offering little to no creative force, Fellaini stuck to his task and did his job effectively. Supported Matic with his physicality, and overall put in a decent performance. Tidy display, and was involved in most of United’s attacks in the first half. 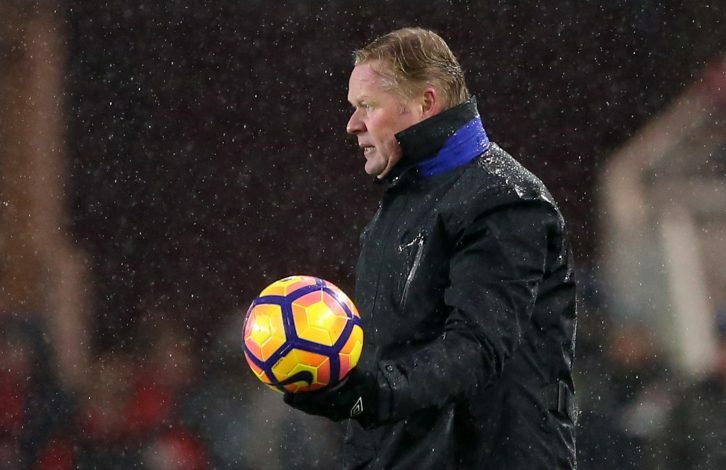 Tested the Everton defense, but struggled create as many chances as he would have liked. Struck a fantastic free-kick that struck the inside of the post. Poor display. Uncharacteristically insipid, and Jose Mourinho was quite rightly upset with his performance against the Toffees. Hauled off very early on in the second half for Jesse Lingard, who offered a lot more to the side when he came on. Mixed performance. A number of casual touches and poor passes, and didn’t seem to be on his game. Still had an impact on the game, scoring the second goal that opened the flood gates in the last few minutes with a cool first-time finish past Pickford. A first appearance against his former club since his mega-money move in the summer, but he struggled to be involved for most of the game, and missed a sitter in the first half. Drew ironic cheers from the Everton support when he missed that chance and later on in the second when he struck a terrible free-kick, but responded seconds later with a poachers finish followed by a wild celebration in front of his former supporters. Also supplied the assist for Mkhitaryan’s goal with a lovely pass. Brought a lot more energy and desire to United’s play when he came on. Willingness to run at the opposition defense was a big boost, especially since Rashford seemed off the pace today. Slowly turning into a super sub. Only had close to ten minutes to have any say in the game, but he did just that with a superb dribble that led to a penalty after Schneiderlin handled in the area. Martial was instructed to take the penalty by Jose Mourinho and did so brilliantly, with a casual finish past Pickford, who dived the other way. Came on for Juan Mata and was decent, but didn’t have much of an impact on the game. Hasn’t kept a clean sheet in four games now, and that will be a worrying stat for a keeper that cost Everton £30 million this summer, which made him one of the most expensive keepers ever. 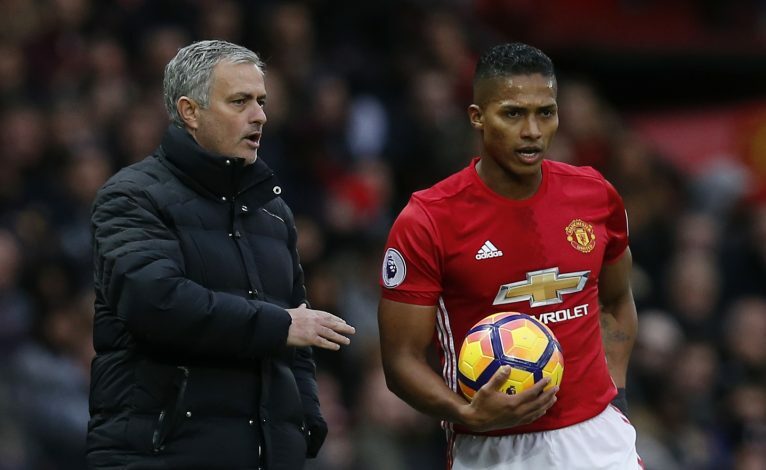 Was hardly at fault for any of the goals today though, even if some might argue that he could have done better with Valencia’s rocket. Has appeared at Old Trafford in Burnley colors in recent years, but made his first appearance as an Everton player at his former stomping ground and he will be disappointed by the outcome. Struggled to contain his former side and wasn’t helped by the poor display of his partner either. Shocking display of defending. Erratic and frustrating, he looked no where near the cool and collected defender he usually is. Made a number of silly tackles that eventually saw him get booked, and completely lost his head when he passed the ball straight to Romelu Lukaku just in front of the penalty area who found Mkhitaryan, whose cool finish put United 2-0 up. 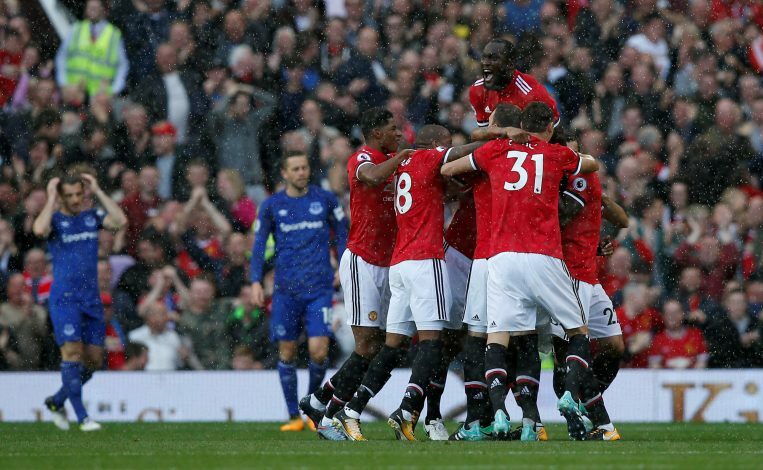 Was the calmest of the three central defenders, and made some terrific challenges to keep United at bay till the late collapse. Only Everton player apart from Rooney and Martina who can claim some sort of credit from the game. One of the only players who actually tested the United defense, and troubled Ashley Young on a couple of occasions. Always going to be a hard battle to win against Matic, and the gulf in quality showed as he struggled against the Serb. Decent performance, against his former side. Kept a cool head throughout although he gave away a penalty with a handball in the dying seconds of the game. Invisible for most of the game. Had little to no impact at all during his 90 minutes on the pitch. Part of Everton’s limp attack in the first half and didn’t trouble Jones or Bailly at all before being replaced early in the second half. Could not influence the game as he usually does, and struggled against a team that generally consider him to be a thorn in their side. Most notable contribution to the game came in the second half when he forced a save off De Gea with a close range efffort. 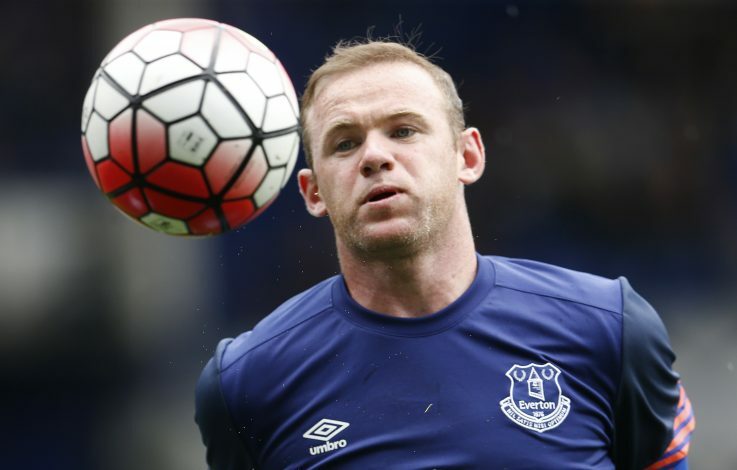 Mixed display on his first return to Old Trafford since moving back to Everton after 13 years. Genuinely tried to make an impact, and his work-rate was nearly rewarded with a goal as he had two solid chances that he really should have put away. Had quite a few casual touches and passes throughout the game though, and probably the only positive he could take away from the game is the warm reception he got from the United fans, as they acknowledged their club’s all time leading goalscorer. Unused substitutes: Klassen, Besic, Steklenberg, Holgate, Besic.